If you’re thinking of exporting goods to Germany, it’s important to be prepared with the right documents. This blog breaks down all the requirements you should know so you don’t lose your valuable time and money. For all trade with non-EU countries, the Single Administrative Document (SAD) is used as the official model according to which trade is conducted and written declarations are made. The use of a single document for all EU countries greatly simplifies the trading process, while also reducing administrative complexity. As such, German imports also follow the same procedures specified in the SAD. In Germany, the Summary Declaration is made available as a form that the customs officials hand over. In specific cases, if customs officials feel that a comparable document has all the information that they require in a Summary Declaration, they may waive this requirement. The SAD—serving as the importer’s declaration—also covers both VAT and custom duties. This declaration is made by the person who is the importer or their agent. The importer in Germany must also file a customs declaration, which is submitted as a physical copy, along with a duplicate invoice. Some equipment types may also require that you have a certificate of origin. Furthermore, import taxes and duties can change, making it vital that tariffs are verified frequently. For companies that are established outside of the European Union, having an EORI number is a must. Without one, you can neither lodge a customs declaration nor an exit/entry summary declaration. You can obtain this number by requesting it from the customs board of the specific country you are exporting to. While the process itself is outside the scope of this blog, it may require many additional documents to be submitted as stipulated by the customs authorities. While the number must be obtained from the country you are exporting to—in this case, Germany—once you have obtained it, you can export to anywhere in the EU. Having an EORI can greatly simplify the customs process. 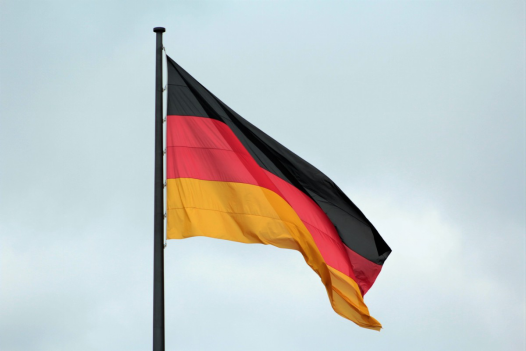 Looking to export cargo to Germany? Cargo Shipping International is one of the world’s leading international freight forwarding companies. Based in Rotterdam, Netherlands, we are experts on all kinds of shipping operations. Get in touch with us today!